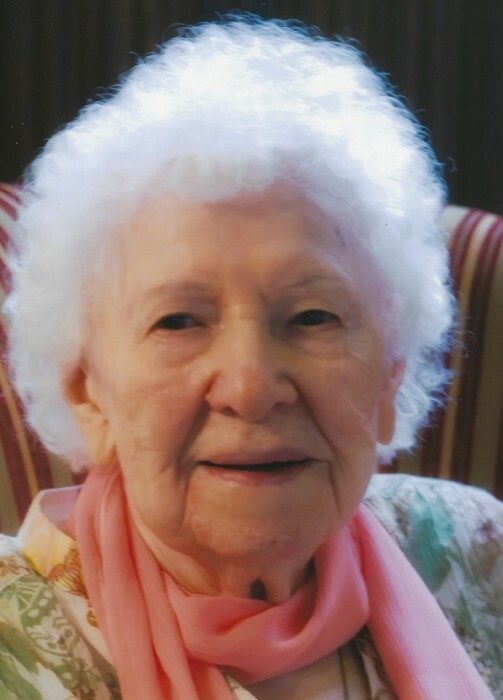 NORTHBRIDGE … Katherine (Scholl) Brown, 105, died Wednesday, October 10, in the Beaumont Skilled Nursing and Rehab Center. Her husband, Charles F. Logan Brown, died in 1974. She is survived by a son, David J. Brown, of Sutton; a niece, Cynthia Haelsen, of Killingly, CT.; four grandchildren, Charles L. Brown, Elizabeth St. George, Katherine Clarkson and Christine Brown; and 2 great grandchildren Logan and Will. She was predeceased by a son, Charles F. Brown, Jr., a brother, Rudolph Scholl, and two sisters, Sophie Steele, and Emily John. Katherine was born in Boston, September 20, 1913, a daughter of Frank and Sophia (Keck) Sholl. She lived in Jamaica Plain, and Upton before moving to Northbridge in 1934. She graduated from Upton High School in 1930, and was a state high school high jump champion. She worked for many years in several departments of the Town of Northbridge, retiring in 1998. She also worked at the Whitinsville Social Library, and following retirement, she volunteered at Alternatives Unlimited in Whitinsville. Katherine loved children, caring for many, who became lifelong friends. Katherine was a long-time, faithful member of the Village Congregational Church in Whitinsville, and its Ladies Fellowship, and she was a charter member of the former Whitinsville Women's Club. She was a loving, generous friend to many, and she will be missed and fondly remembered by all who knew her. Katherine's family would like to thank the staff at Beaumont and Salmon Hospice, as well as Dr. William Muller for their care and compassion. A Memorial Service will be held at 11am, Monday, October 22, in the Village Congregational Church. There are no Calling Hours. Please omit flowers. Memorial donations may be made to the Village Congregational Church, 5 Church Street, Whitinsville, MA, 01588.